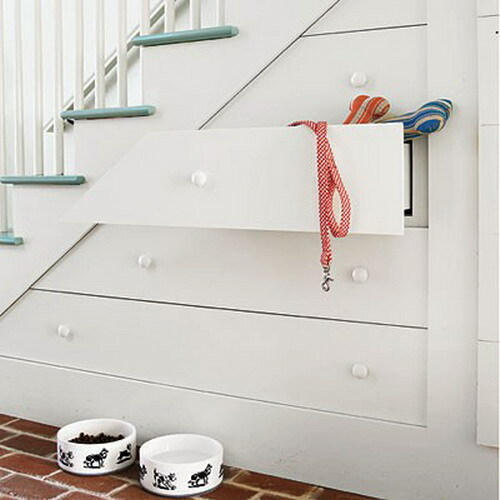 The places to store our every day objects are never enough. 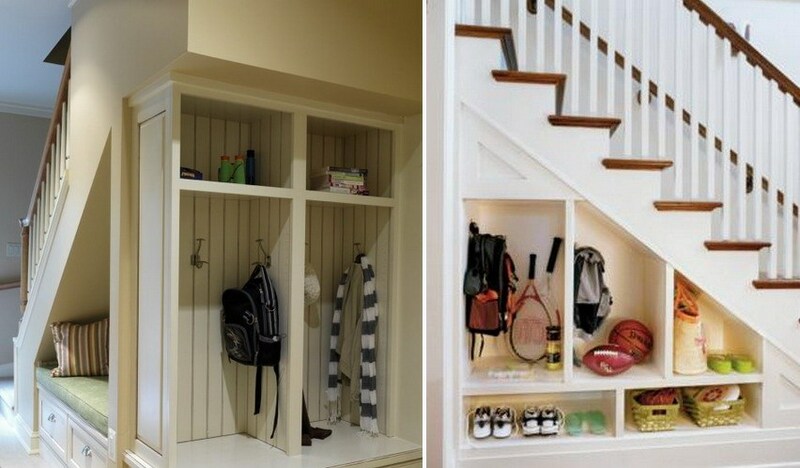 You can use the storage space under the stairs and turn it into a new area of ​​memory. 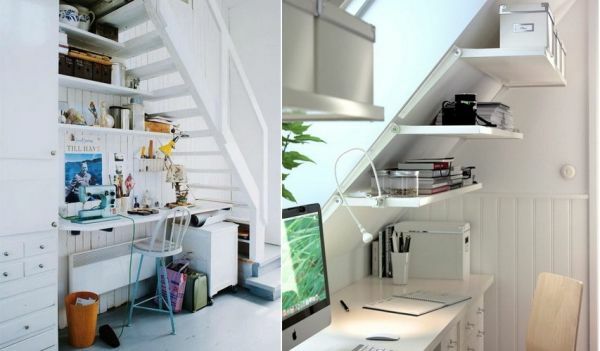 How many of you have thought that the storage space under the stairs can be used as a work area? 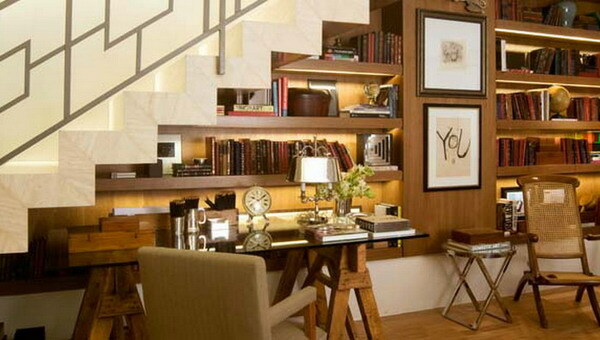 It must be wide enough so that you can place a table and some small shelves. 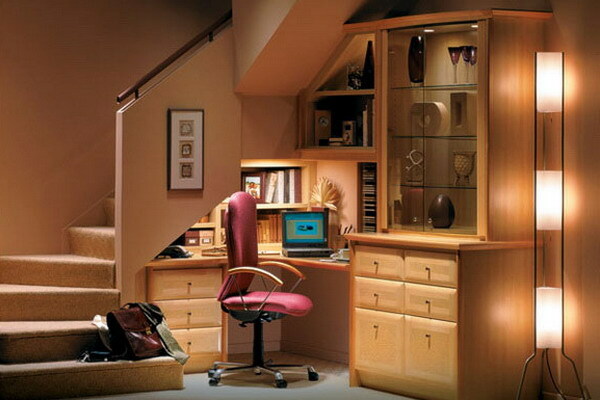 A laptop or a PC will fit without major problems. 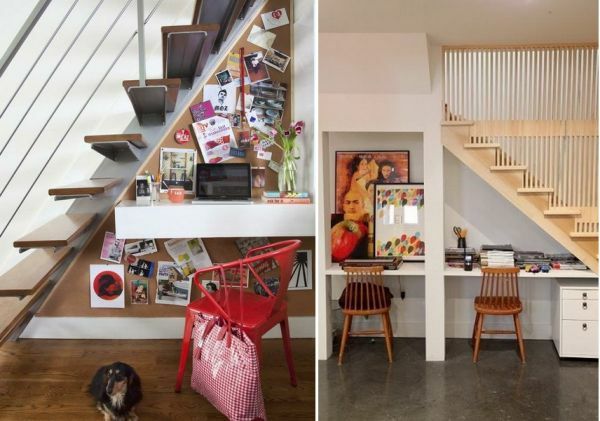 There are two types of office arrangement under the staircase. 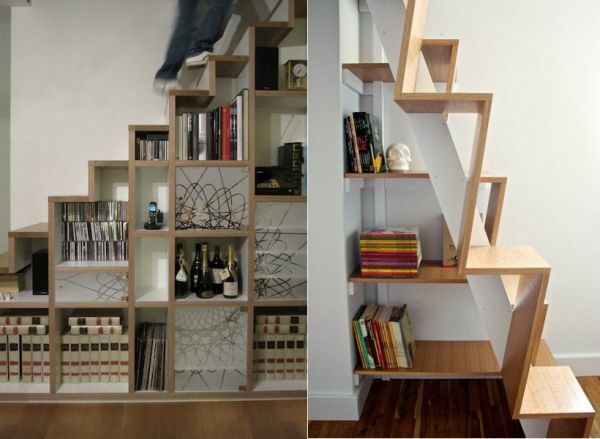 The shelves on the first picture are attached to the wall along the steps and the other ones are arranged vertically. 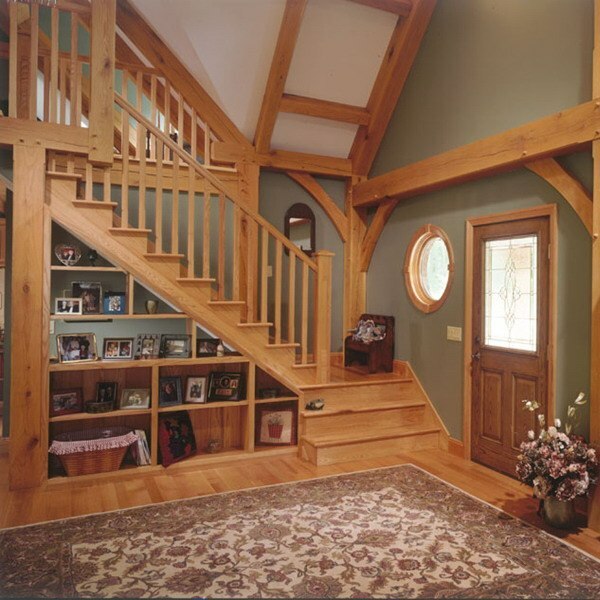 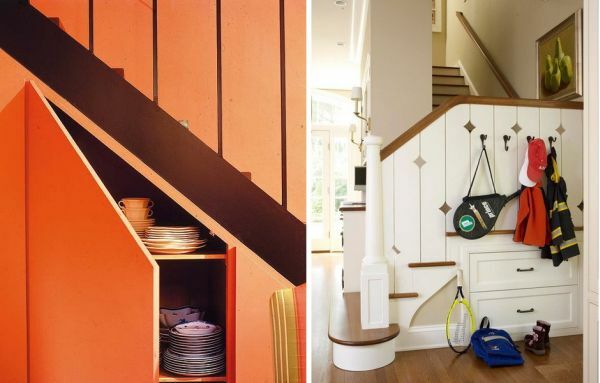 Both equally maximize the available storage space under the stairs as much as possible. 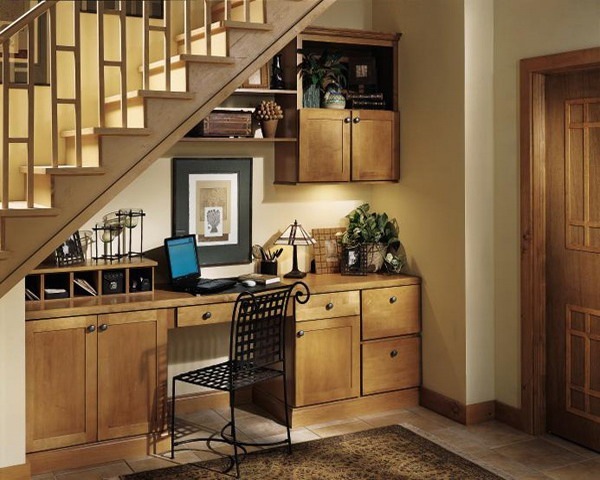 If you want to concentrate on your work without anyone to distract your attention, you can mount a door. 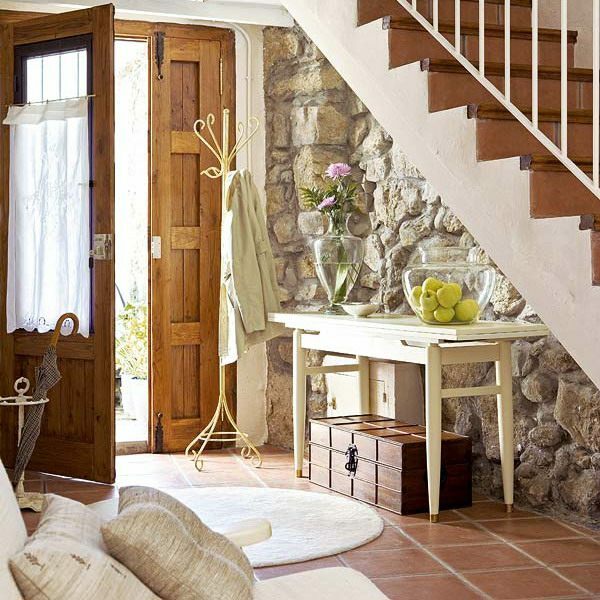 Sliding doors would be the best choice because they do not take up much area, but they can be expensive. 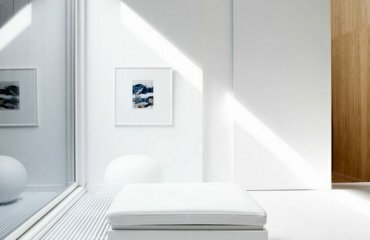 Curtains, on the other hand, can not fit or do not look appealing. 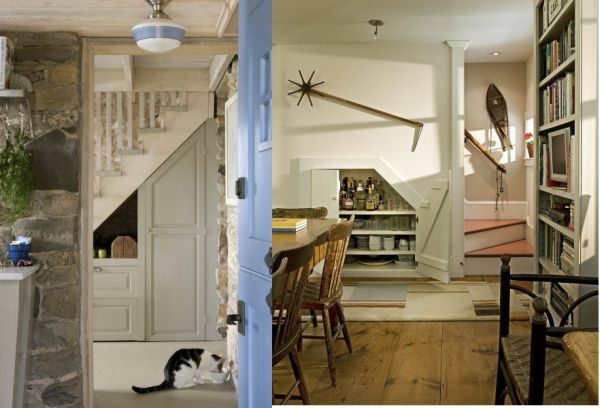 The hallway is like a very busy intersection of streets. 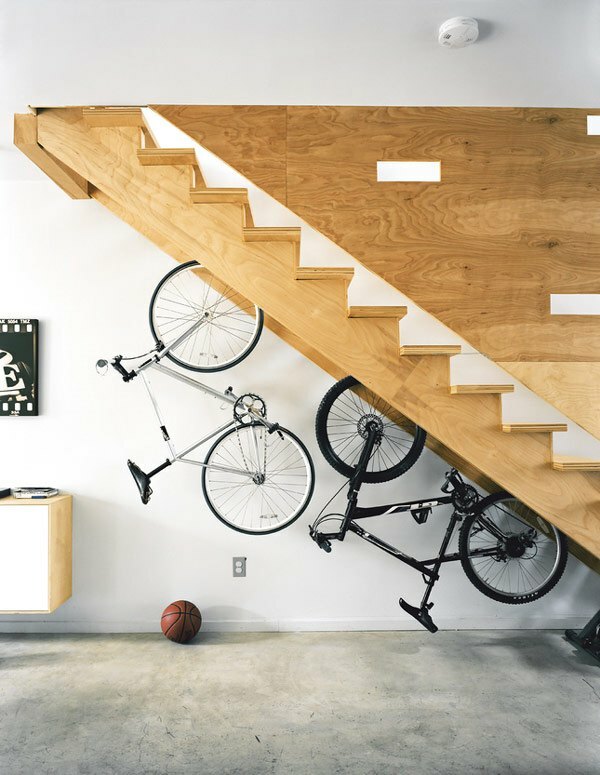 This means that this zone can be used for something that must be at hand at all times. 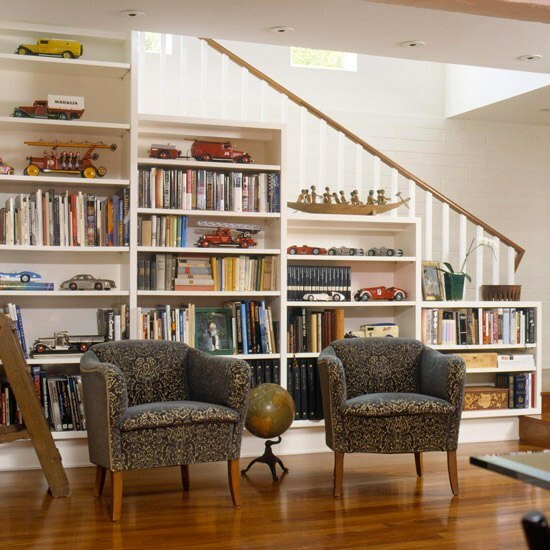 Depending on the situation and what decor or architecture the hall has, you can expand your storage space. 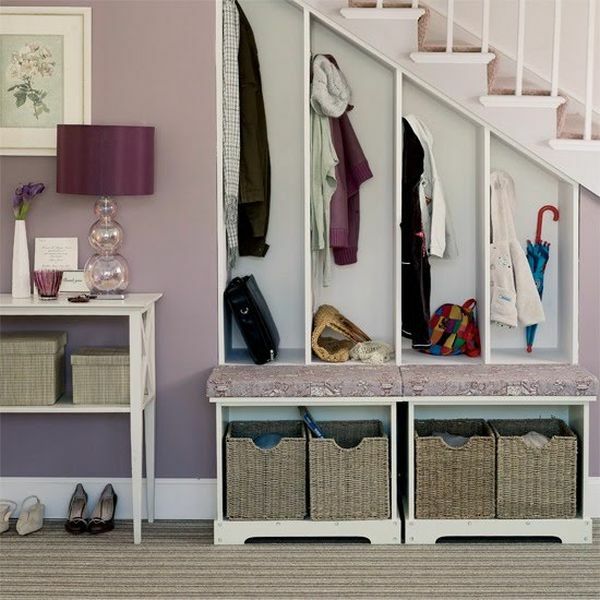 A very good idea, which is also convenient, the area is transformed to store your shoes and clothes for the cold or warm season. 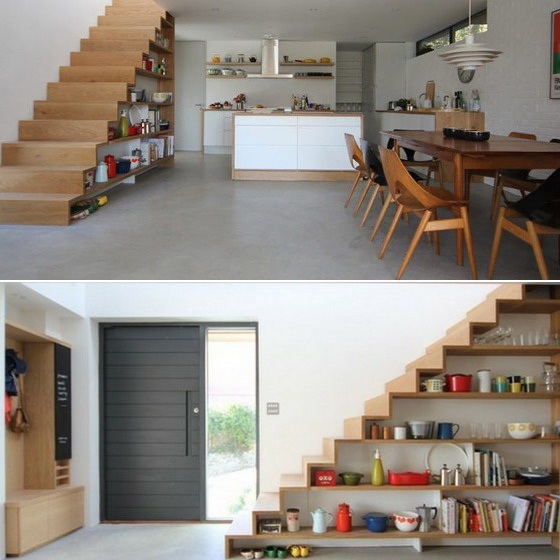 You can keep it open or closed. 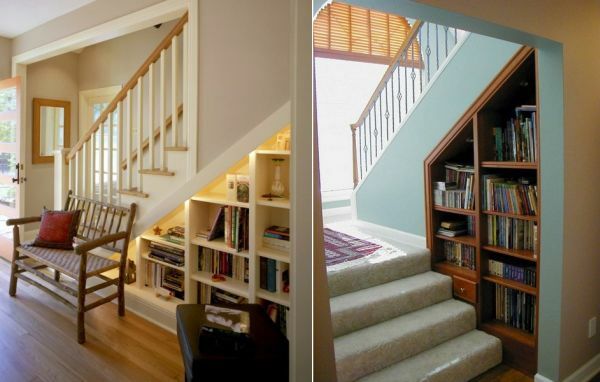 Storage space under the stairs in the living room. 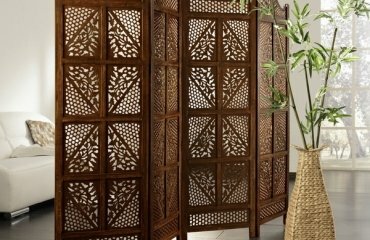 Your living room is a bit more sensitive than the hallway. 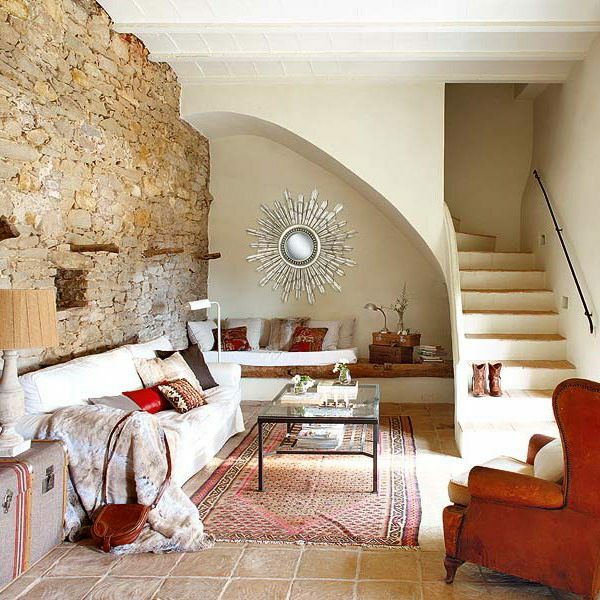 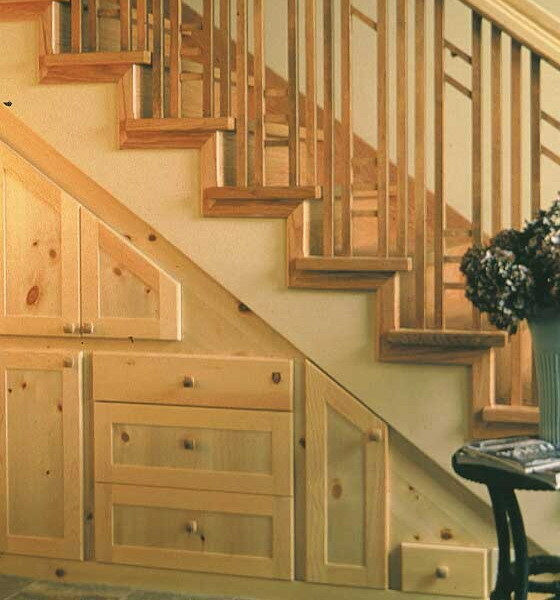 Therefore, the staircase is either very stylish in this area and a rough change will destroy the overall look. 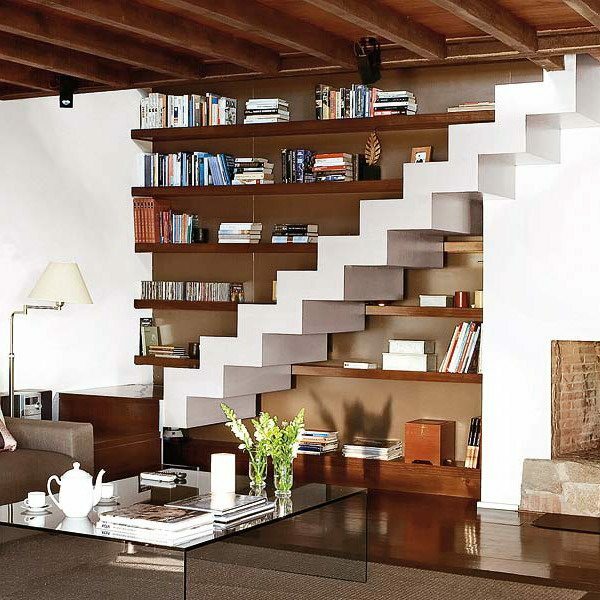 Or the staircase is made ​​of high quality and sophisticated materials and, as before, major changes can ruin the whole thing. 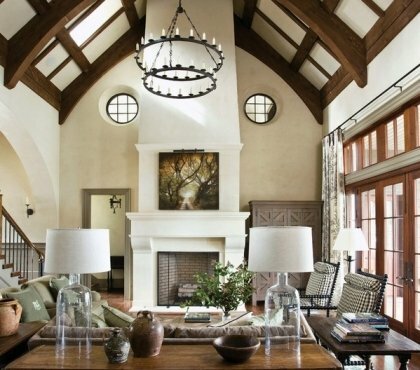 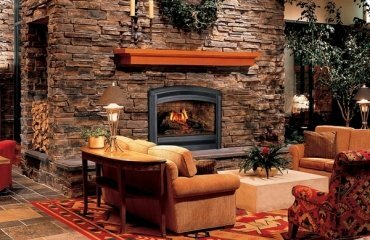 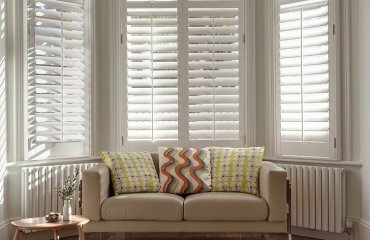 In a living room, the secret is to do something interacting with the environment. 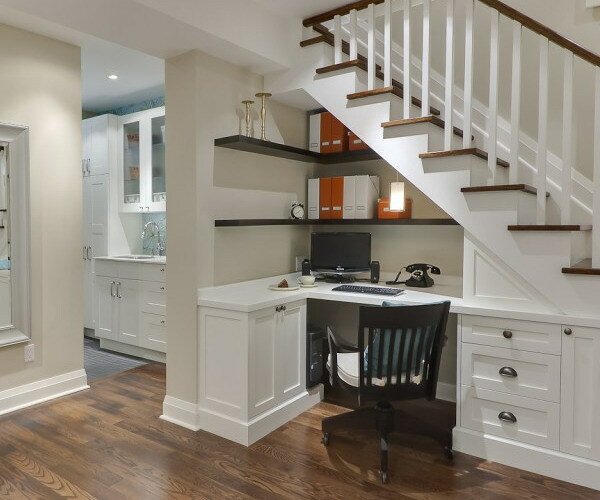 Therefore, the storage space under the stairs should be not only a part of the entire design, but to be focused more on functionality. 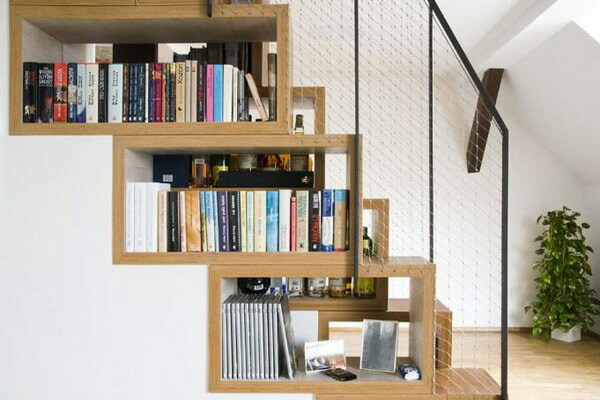 A bookcase is perfect for this spot. 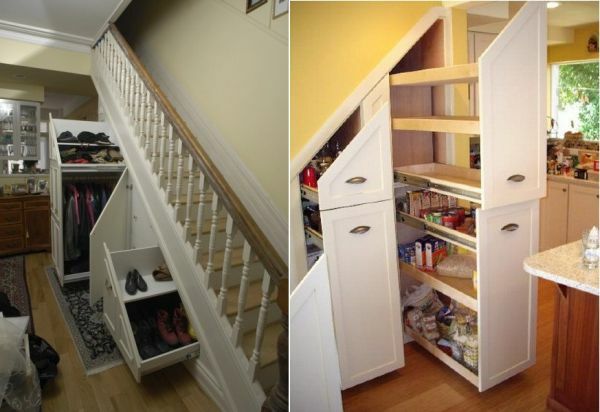 This method of using the storage space under the stairs is recommended only in very narrow spaces where the lack of centimeters is really a problem, and you have already eliminated all other options. 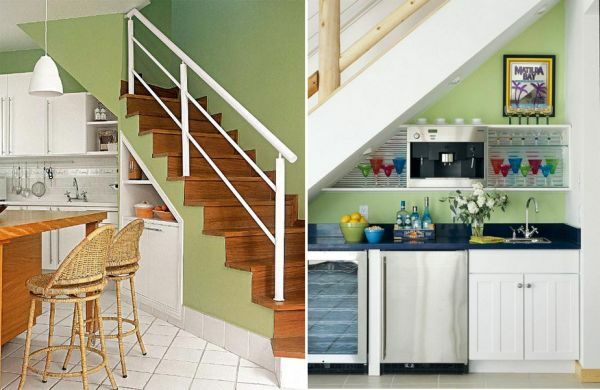 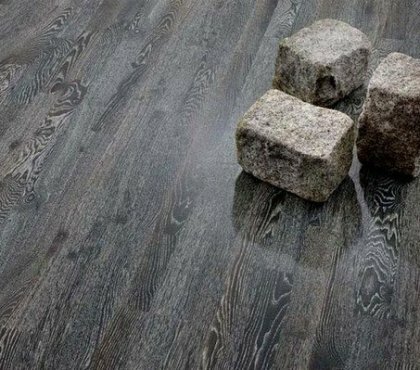 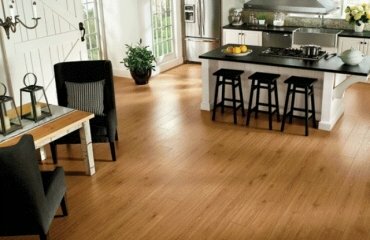 With the area under your steps as a kitchen or at least a part of the kitchen is a bit on the border because we do not know anyone who likes to cook in dust or dirt from the stairs. 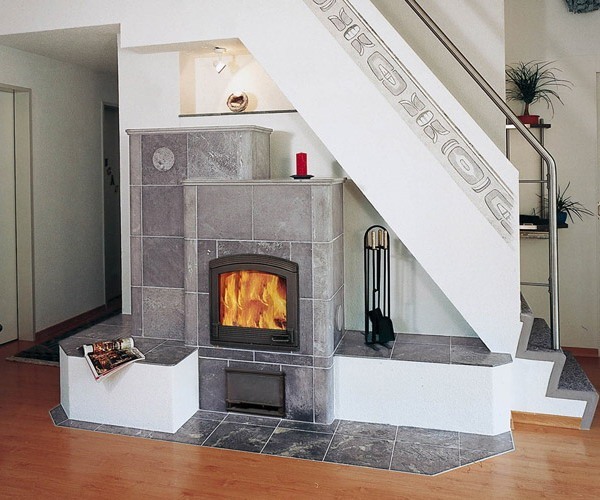 For those who do not have much space, some equipment, a sink or stove can be installed very easily there. 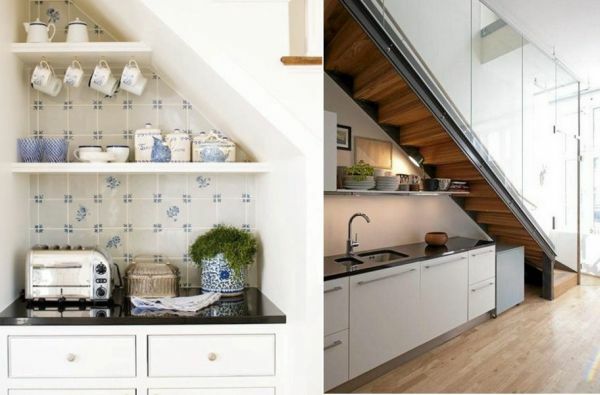 Above all your dishes, coffee cups, spices can be on small shelves. 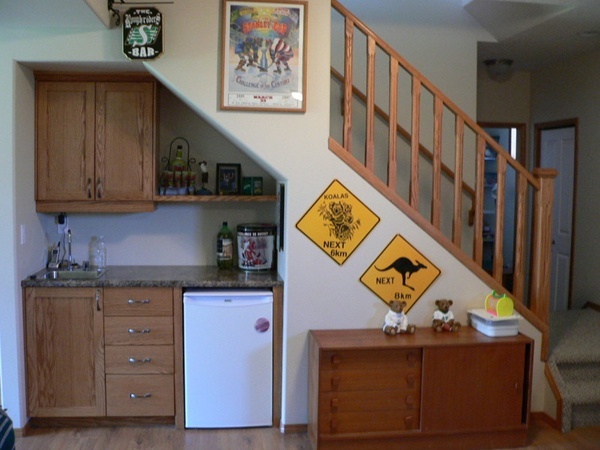 Cabinets and shelves under the stairway. 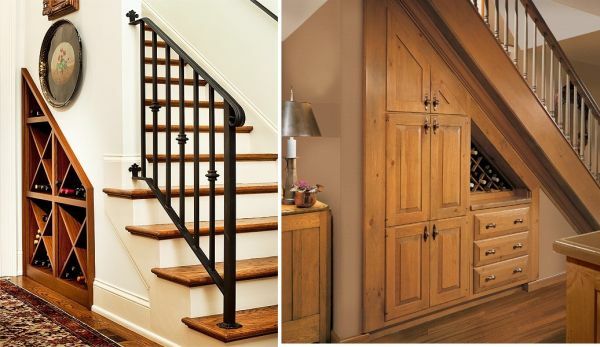 The easiest way to arrange the storage space under stairs, is with shelves and racks. 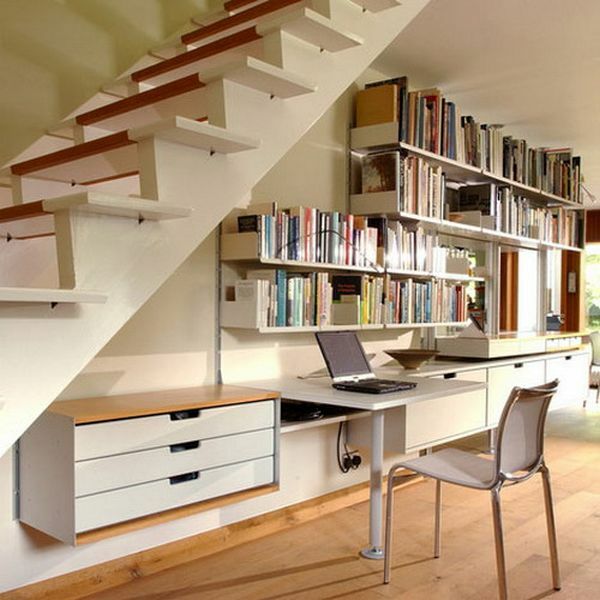 Shelves can, and it is actually recommended, to be asymmetric in different sizes because of the usual stairway form. 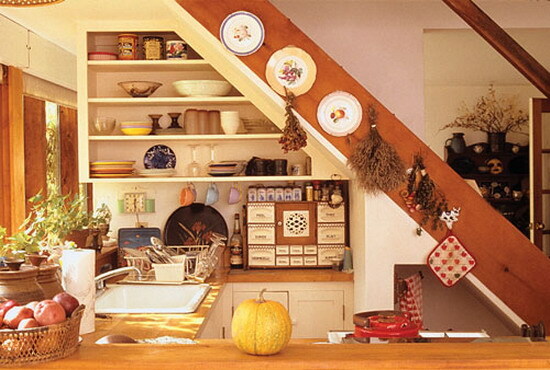 On the shelves you can store almost anything. 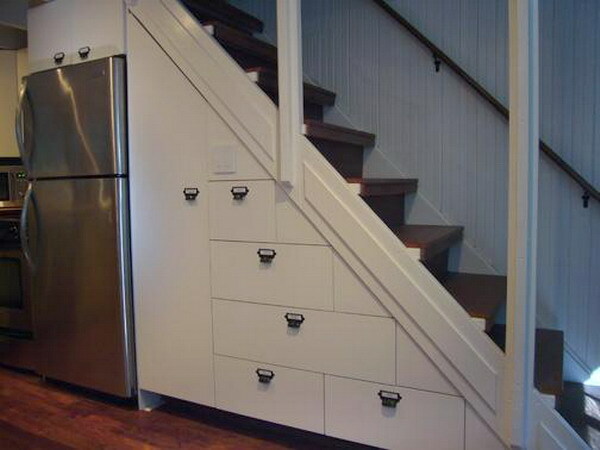 Drawers built under the staircase. 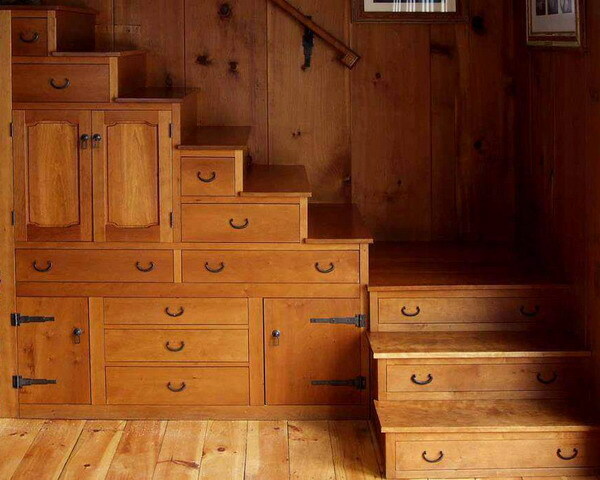 Several drawers under the steps suddenly seem a very interesting idea, if you have no place. 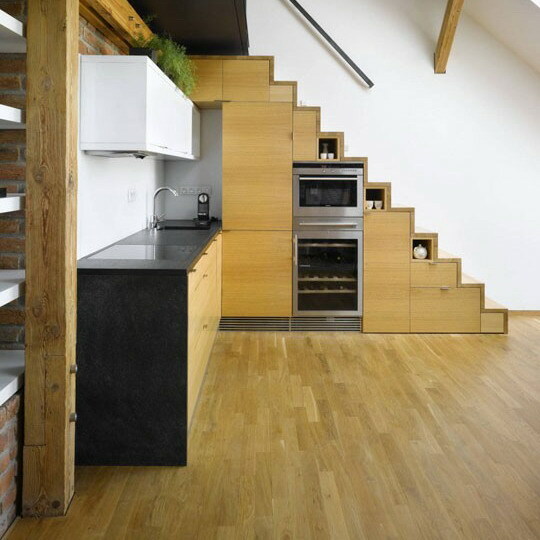 Imagine all this space filled with drawers, small or large. 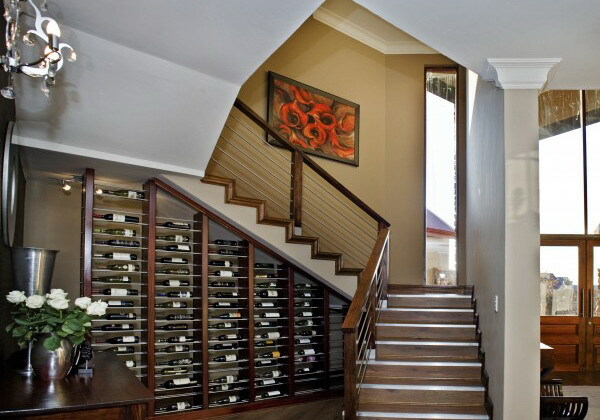 Wine racks under the stairway. 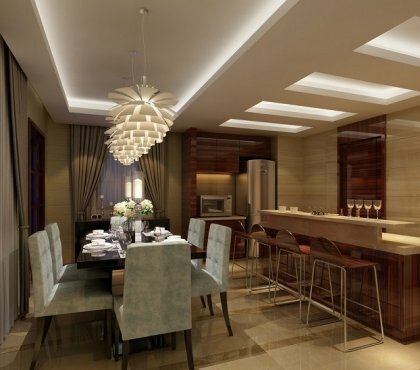 Wine is an important element for any great dinner. 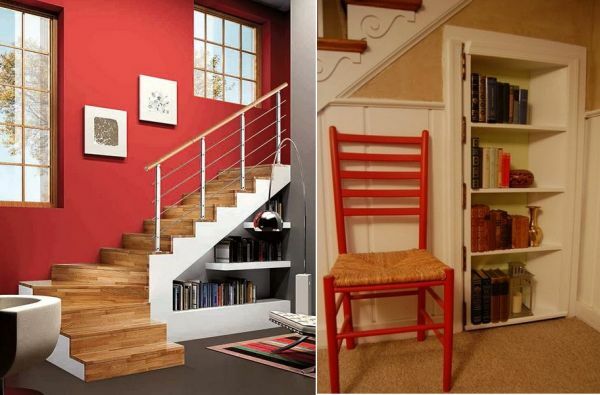 If you like wine and want to have a good wine always at hand, you can prepare a special place under the stairs. 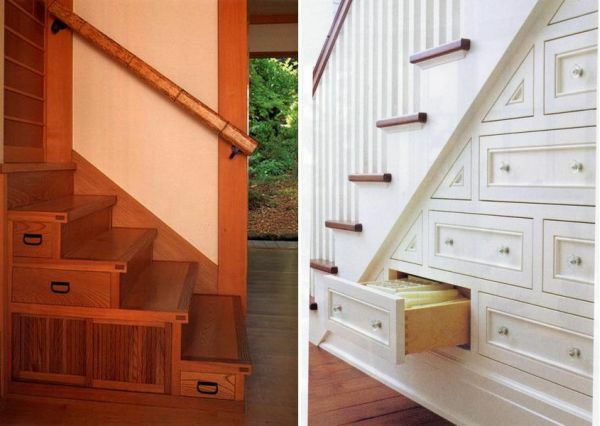 Storage under free wooden stairs. 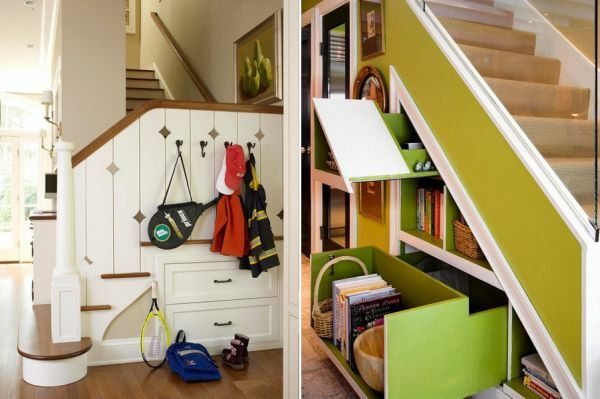 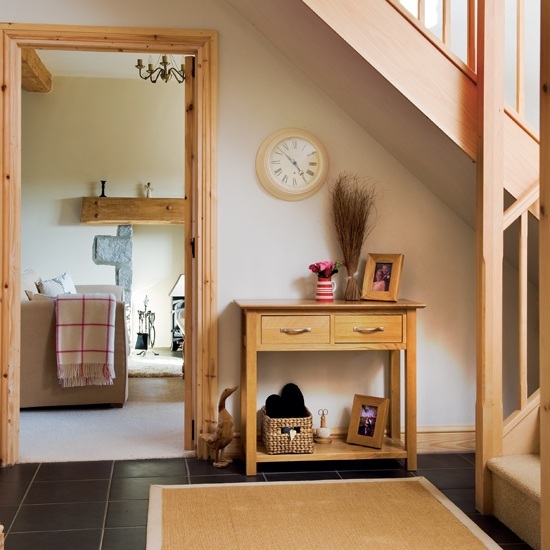 The next idea for storage space under the stairs perfectly combines style and functionality. 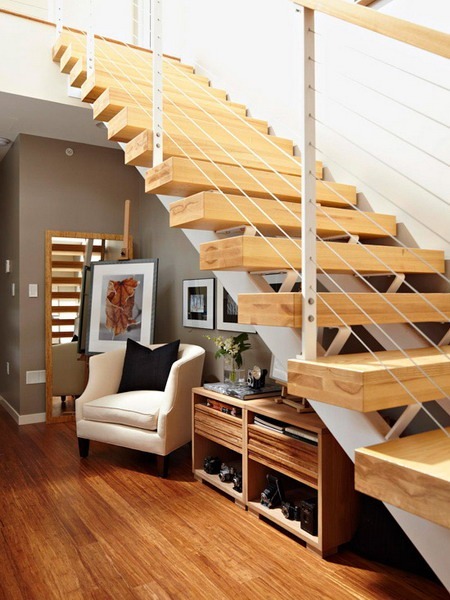 The fact that the staircase can be opened to the left, used non-uniform deformation of the wood and other items to help you achieve the desired storage units. 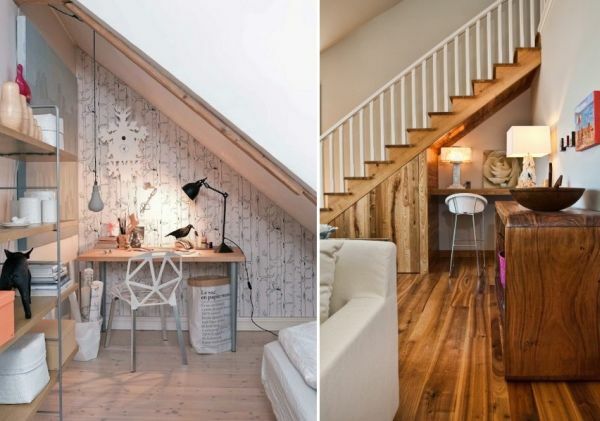 This type of storage adds a tremendous amount of texture in the room with stairs and floors.